Portland is feeling growing pains and will continue to. Luckily, compared to many other places, Portland still has room to consider HOW we want to evolve. We are a critical moment in our history: The decisions we make this year will impact housing availability and affordability for a generation to come. As we grow, Portland can learn many lessons from larger metro areas: from successes, from failures, from willingness to embrace political challenges creatively. Hindsight can be 20/20, and our peers in bigger cities have it. One of the surest ways not to house a city’s full community affordably (or at all!) is to chronically under-build housing. Join Gil Kelley, AICP, with the City of Vancouver, BC, Kim-Mai Cutler with Initialized Capital, Brian Hanlon with CA YIMBY & California Renters Legal Advocacy & Education and moderator Michael Andersen with the Sightline Institute for a discussion on what it takes to ensure that housing production keeps pace with the needs of a growing population, and what the impacts can be when acute housing shortages happen. Free & open, but space is limited. Register here. Often, residents of cities don’t know our own zoning history, or how generations-old rules dictating who was allowed to live where still impact our urban landscapes to this day. Join panelists Sara Maxana from Seattle, Janne Flisrand from Minneapolis, Allan Lazo with the Fair Housing Council of Oregon, and moderator Oriana Magnera from Verde for a discussion of two cities’ recent attempts to (re-)legalize small-scale multi-unit buildings in their single-family residential neighborhoods. Panelists will also discuss the limitations of zoning rule changes, and what additional solutions are needed to achieve more economically and racially diverse neighborhoods. Free & open, but space is limited. Register here. What does it take to deliver affordable housing programs, from houselessness to homeownership? How do cities and regions preserve and expand regulated affordable housing while experiencing rapid growth? Tony Pickett with Grounded Solutions Network, Leila Bozorg with NYC Housing Preservation & Development, Bill Pickel with Brilliant Corners and moderator Alison McIntosh with the Oregon Housing Alliance will share their expertise around how to make sure that housing subsidies are being spent where they most need to be, and strategies to increase resources where they will always be required. Free & open, but space is limited. Register here. We are throwing our end-of-year party this year with two of our Give!Guide-winning partners in land use, environmental justice, and affordable housing: OPAL Environmental Justice Oregon and Proud Ground Community Land Trust. Show up and find out why we’re considered among the most impactful nonprofits in Portland, and how you can get involved and support our work. Free, with the first drink on us! All ages welcome. Learn more about Willamette Week’s Give!Guide, and RSVP via our Pour-Land event page. Join author Randy Shaw at Powell’s Books as he discusses his new book, Generation Priced Out: Who Gets to Live in the New Urban America. Generation Priced Out is a call to action on one of the most talked-about issues of our time: how skyrocketing rents and home values are pricing the working and middle classes out of urban America. From San Francisco to New York, Seattle to Denver, and Los Angeles to Austin, Generation Priced Out challenges progressive cities to reverse rising economic and racial inequality. RSVP to hear Randy’s talk via the event Facebook page. Celebrate with the 2018 Skidmore Prize Recipients! Friday, November 16, 5:30 – 8:30pm at the Portland Mercado, 7238 SE Foster Rd. The Portland Mercado will be hosting a celebration for Give!Guide’s 2018 Skidmore Prize recipients and nonprofits all around Portland. Come join us and many of our nonprofit partners making change around Portland, and celebrate their great work. Learn more about Williamette Week’s Give!Guide. Skidmore Prize party details can be found on the Portland Mercado’s Facebook page. See you there! Join Common Ground OR-WA, Portland for Everyone, and Sightline Institute for a lively discussion with legislators and Michael Andersen from Sightline Institute to discuss how property tax limitations, Measures 5 & 50, have negatively impacted housing affordability and tax equity statewide. It’s time to take on this monster! Register here. The Portland music community is joining nearly 500 nonprofits, businesses and community leaders to support Measure 102 & Measure 26-199 this fall, to help create affordable housing for up to 12,000 people in the Portland metro region. Join Business for a Better PDX and partners to celebrate and support Yes for Affordable Housing. Tix $15. This show is 21+. Join the Up For Growth National Coalition on October 16th for a lunchtime event “Housing Underproduction in Oregon: Report Release.” Panelists include James LaBar with Governor Kate Brown’s office, Alison McIntosh with the Oregon Housing Alliance, Shannon Singleton with JOIN, and Joe Cortright with City Observatory. Moderated by Gwenn Baldwin of Oregon Smart Growth. Details and registration are available here. Join us, AARP Oregon, and partners for a Happy Hour, and get ready to testify in front of decision-makers. We will give an overview of the proposal, including recent changes made to the proposal. We will share what we like about the proposal, and ways that we think it could be improved. Help make sure that the plan delivers more housing, better affordability and accessibility in ALL neighborhoods. Please RSVP below, and see you there! Named by the New York Times as one of the 100 notable books of 2017, Richard Rothstein’s The Color of Law: A forgotten History of How Our Government Segregated America finally confronts how American governments in the twentieth century deliberately imposed residential racial segregation on metropolitan areas nationwide. Join the Fair Housing Council of Oregon and the Oregon Historical Society for an evening with the author, & a post-lecture conversation with Dr. Karen Gibson, author of “Bleeding Albina: A History of Community Disinvestment, 1940–2000.” Information & registration is available here. Come celebrate the book by Accessory Dwelling Unit (ADU) expert and advocate, Kol Peterson: “The Backdoor Revolution: The Definitive Guide to ADU Development.” Books will be available for purchase at the event, and Portland for Everyone Coordinator Madeline Kovacs will introduce the author! You can learn more about the book here. The event is free, but space is limited. Register here, and your email confirmation will include detailed venue information. Le invitamos a que nos acompañe con Portland for Everyone el 16 de Noviembre en Rosewood Initiative en SE Stark St para una discusión comunitaria en torno a una breve ventana de oportunidad de Portland para volver a legalizar los aspectos de la ciudad que queremos. Se les servirá una cena buffet y bebidas a todos los asistentes. Si puedes, confirma por favor a comuníquese con Francisco al 503.380.4787, con People-Places-Things, o registrarse por favor a través del enlace de Eventbrite, para comfirmar su asistencia y para asegurar que tenemos comida suficiente! PDF para la distribución. The Build Small, Live Large Summit is a gathering place for leaders and policymakers from around the country and across sectors to explore smaller homes as a local response to housing shortages and climate change. Smaller homes use less energy and materials, add to the supply of housing options in walkable, high-opportunity neighborhoods, offer flexibility as households change over time, and provide homeowners with a way to offset their mortgages with rental income. This year’s Summit is focused on homes most commonly referred to as accessory dwelling units, or ADUs. Common names for ADUs include backyard cottages, mother in law apartments, garage studios, and attic and basement apartments. Learn more & register here. Thursday, October 26, 5:30 – 7:00pm, Albina Bank, 320 NW 10th St. Coalition member Proud Ground Community Land Trust’s Open Door Conversation will showcase their new video series showcasing our community land trust model and real estate services for the community. Sponsored by Albina Community Bank, the launch will include complimentary appetizers, beer, and wine. Here is a link to the event on Proud Ground’s website. Thursday, October 19, 6:00 – 7:30pm at Duke’s Bar & Grill, 14601 SE Division St.
Having trouble paying your rent? Can’t afford to buy? Need better access to transit? Portland faces a housing shortage. Portlanders also wonder sometimes why more neighborhoods in the city aren’t being built to resemble the ones within a few miles of downtown that are in such high demand. Part of the reason is that it’s currently illegal to build neighborhoods like those. Newer neighborhoods won’t achieve walkability, or frequent transit, unless we change the rules around housing, too. Join us for pizza, and a talk about Portland’s brief window of opportunity to help address these issues in East Portland. Followed with a Q&A. Space is limited, so register asap! Thursday, October 12, 6:00 – 7:30pm at Pizza Baron, 2604 SE 122nd Ave.
Having trouble paying your rent? Can’t afford to buy? Need better access to transit? Portland faces a housing shortage. Portlanders also wonder sometimes why more neighborhoods in the city aren’t being built to resemble the ones within a few miles of downtown that are in such high demand. Part of the reason is that it’s currently illegal to build neighborhoods like those. Newer neighborhoods won’t achieve walkability, or frequent transit, unless we change the rules around housing, too. Join us for pizza, and a talk about Portland’s brief window of opportunity to help address these issues in East Portland. “A tour for people interested in learning more about ADUs and meeting the homeowners, builders, and designers who built them.” Register in advance and pick up your wristbands at Caravan, The Tiny House Hotel before heading out to see the ADUs. On Saturday evening, ADU Tour registrants can also visit Caravan 4-8pm for beer, s’mores, & networking. Information, registration, and opportunities to volunteer are on the Accessory Dwellings website! Tuesday, September 5, 6:00 – 7:30pm at Pizza Baron, 2604 SE 122nd Ave.
Saturday August 19, 10:00am – noon, 1333 SE 28th Ave. Learn about “Missing Middle” housing with us and AARP. Meander through this historic neighborhood, the rose garden, and end on Hawthorne St. The walk is 2.4 miles, and should take about 2 hours. Meet us at Epworth United Methodist Church, 1333 SE 28th Avenue, 15 min. early. Accessible to all ages and abilities. For more information and to register, please visit AARP’s website. Portland for Everyone will be tabling at the second annual Oregon Walkways, an open-streets event that celebrates our communities and encourages walking. This year, Oregon Walks partnered with Lents Neighborhood Association and Green Lents to bring the event to the historic Lents neighborhood, with 1.5 miles of free, family-friendly fun featuring craft and food vendors, live music and dancing, community booths, games, the Belmont Goats, and even a chicken beauty contest! Come explore Lents and say hi! Saturday July 22, 11:00am – 3:00pm, 10301 NE Glisan St.
Multi-cultural children’s activities, arts and entertainment will share the Sokhom Tauch Community Center (gym) at the Immigrant and Refugee Community Organization (IRCO), with community resource tables, social services and ways to be involved in the larger community. Saturday June 3, 10am – noon @ PCC Southeast Campus, Community Hall Annex, SE Division & 82nd Ave. 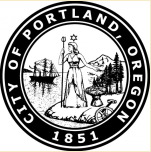 This workshop will be an opportunity to learn about and provide input on the compiled code, alternative development, and conceptual street plan options for Portland’s multi-dwelling zones, refined during stakeholder working group meetings. Project details are here on the City’s website. Thursday June 1, 5:30 – 7:30pm @ 1900 SW 4th Ave.
Come to the free conversation “Homeless in the Land of Plenty” with Ryan Stroud. Stroud is a storyteller and the founder and director of CommuniTalks, a storytelling project that leverages personal narrative to empower individual and social change. More information is available on King NA’s Facebook event. Oregon Walks invites you to celebrate Jane Jacobs’ 101st birthday at our Annual Membership Meeting, which coincides with a screening of “Citizen Jane: Battle for the City,” a new documentary coming out telling the story of her life, her advocacy, and her legacy. Details are here on the Oregon Walks website. Portland for Everyone Coordinator, Madeline Kovacs, will appear with Dan Bertolet (Sightline), Kate Howe (VIA Architecture), Spencer Williams (Legislative Assistant) to examine the latest efforts to improve equitable access to housing by fixing overly restrictive zoning and regulations. More details and information are available on the conference’s schedule. Wednesday May 3, 6:00 – 8:00pm @ Rosewood Initiative, 16126 SE Stark St. Attend and let staff know what you think about design and development standards in our multi-dwelling zones. This meeting at Rosewood will also focus specifically on street/pedestrian connectivity and Rosewood street plan options. More details about the project are here on the City’s website. Attend and let Council know that you support the consultant’s recommendation not to allow Design Commission’s review to impact entitlements given by zoning. We will be there, advocating for more housing, and for more affordable housing. More details about the project are here on the City’s website. Residential Infill Project – Testimony Prep. Parties! Join us for a Happy Hour, and make sure that City Council hears from you. P4E staff and some of our partners will share recent changes that Bureau of Planning & Sustainability staff made to their draft proposal for the Residential Infill Project. Then, we can help make sure that City Council continues to hear about affordability, access, and choice in our neighborhoods. Please RSVP to one of the following sessions and let us know you’re coming: 1) Nov. 3 from 4:30 – 6:15 at Lucky Lab SE on Hawthorne, and 2) Nov. 7 from 5:30 – 7:00 at Lucky Lab N on Killingsworth. Le invitamos a que nos acompañe con Portland for Everyone el 26 de Octubre en Rosewood Initiative en SE Stark St para una breve presentación y discusión comunitaria en torno a una breve ventana de oportunidad de Portland para volver a legalizar los aspectos de la ciudad que queremos. Se les servirá una cena buffet y bebidas a todos los asistentes. Si puedes, registrarse por favor a través del enlace de Eventbrite, para comfirmar su asistencia y para asegurar que tenemos comida suficiente! PDF para la distribución. As part of our Affordability, Accessibility & the “Missing Middle” series co-hosted by AARP and ULI, come and discuss what Missing Middle housing can mean for housing options in neighborhoods, for creating multi-generational communities, and allowing older adults to age in place. We will hear from Daniel, from local practitioners, and from elected officials on solutions in the works around the Portland Metro region. Recap & presentations are available here. As part of our Affordability, Accessibility & the “Missing Middle” series co-hosted by AARP and ULI: Join us for a walking tour, led by architect and urbanist Daniel Parolek and local small-scale housing developer Eli Spevak. We will explore one of Portland’s classic neighborhoods and examine different building types constructed under older zoning codes prior to the 1950s – “Missing Middle” housing types – many of which are illegal to build in most Portland neighborhoods today. You can still check out all of the housing walks scheduled for Walktober, and consider joining us at the Happy Hour or on October 7, instead. Recap & presentations are available here. As part of our Affordability, Accessibility & the “Missing Middle series co-hosted by AARP and ULI, join us for a brief presentation by Daniel Parolek of Opticos Design on Missing Middle housing choices. Then we will play some trivia on Portland’s land use and housing history, and hear more from local experts & advocates about what land use decisions can mean for all Portlanders’ ability to find a place to live. Recap & presentations are available here. In 1959, Portland banned most new small multifamily dwellings like duplexes, four-plexes and internal home divisions — the same small, efficient homes that continue to make corner stores and frequent buses viable in Portland’s most beloved, walkable neighborhoods. Join us for a beer, and a talk about Portland’s brief window of opportunity to re-legalize aspects of the city we love. Followed with a Q&A & opportunities to jump right in. Hosted at NW Quimby Lucky Lab. Space is limited, so register asap. Join Portland for Everyone for refreshments, and learn about how land use decisions will affect housing abundance, diversity, and affordability in Portland’s residential neighborhoods! This gathering is co-hosted by Communitecture. Mark Lakeman, owner, will also share his vision for providing affordable housing for everyone in Portland. Followed by Q&A & opportunities to jump right in. Space is limited, please register here. Join Portland for Everyone for a beer, and get active on land use & housing affordability! The focus for this one will be on Tiny Homes and other forms of space-efficient housing as one of many strategies to address housing diversity, abundance, and affordability. Followed with a Q&A & opportunities to jump right in. Hosted at SE Hawthorne Lucky Lab. Space is limited, so register asap. The Residential Infill Project won’t be hosting public hearings. Attend one of these open houses, and tell staff why you support abundant, diverse, and affordable housing options in all our residential neighborhoods. Thursday July 14, 6:30pm – 8:30pm @ German American Society, 5626 NE Alameda St.
Join Portland for Everyone for a beer, and get active on land use & housing affordability! Representatives from the P4E campaign will give an overview of Portland’s once-in-a-generation chances to address housing diversity, abundance, and affordability. Followed with a Q&A & opportunities to jump right in. Hosted at N Killingsworth Lucky Lab. Space is limited, so register asap. The Residential Infill Project won’t be hosting public hearings. The Residential Infill Project won’t be hosting public hearings. Attend one of these open houses, and tell staff why you support abundant, diverse, and affordable housing options in all our residential neighborhoods. Join Portland for Everyone for a beer, and get active on land use & housing affordability! A representative from the P4E campaign will give an overview of Portland’s once-in-a-generation chances to address housing diversity, abundance, and affordability. Followed with a Q&A & opportunities to jump right in. Hosted at SE Hawthorne Lucky Lab. Space is limited, so register asap. Staff will present an overview of the concepts for regulating scale of houses and remodels, narrow lots, and alternative housing options in single-dwelling zones that will be presented to the public for their review. Opportunities for public review (June 13 – Aug. 8) will also be presented. This will be a large event, with about 250+ people, where community leaders, historians, City staff, developers & activists will all share perspectives. There will also be breakout strategy sessions on five action areas.